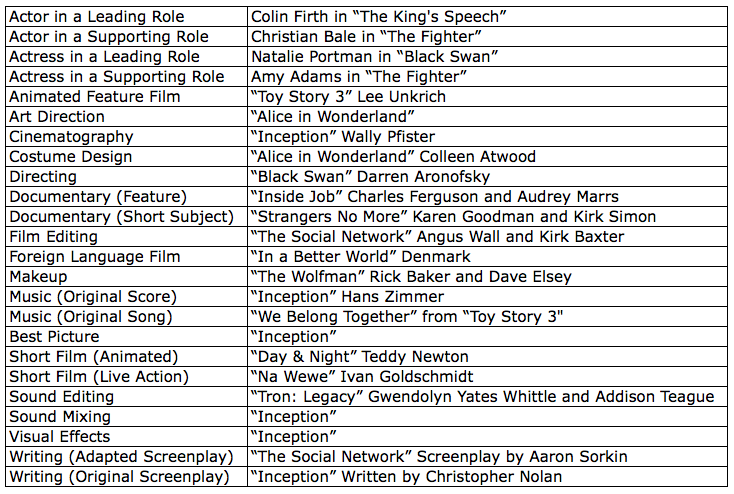 Today is the Oscars, and I’m going – for the first time – to an Oscar “party”. That “party” part is stretched, after all, it will be 4 of us, flicking back and forth between the basketball game and the awards, though, cheese might be on the menu. Yes, we can party. I don’t really care about the Oscars, to be honest, I’ve never cared about any award shows, but I do love hanging out with close friends. 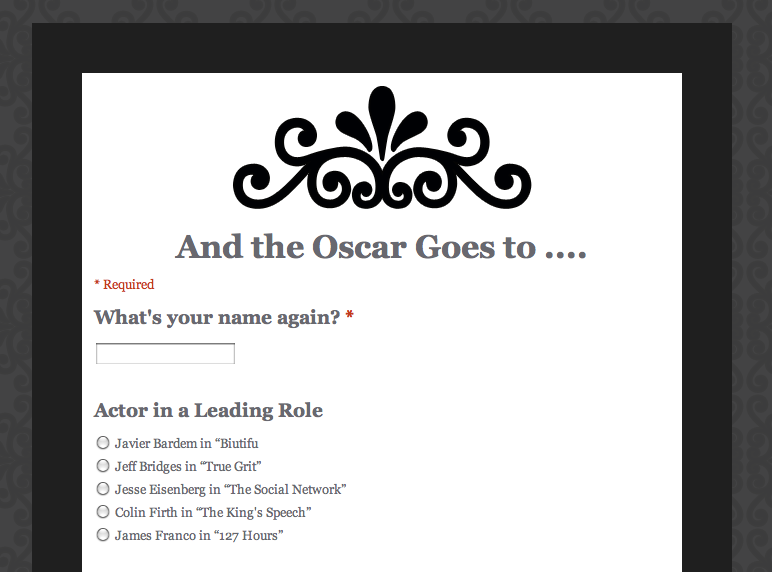 However, since we are having an Oscar party and I am competitive I created a form where we can input our answers before the awards to see who guessed the most correctly. Not really sure how those will work out, but if I were to go by Mashable’s predictions and their voice of the people via Twitter then I have 50% correct. If I were to go by Foursquare’s checkins then I’m only good with my Inception choices. In any case, I will enjoy the the companionable night and the cheese. According to its Wiki page, the rooibos bush looks like a broom. The plant is used to make herbal tea. It has high levels of antioxidants. Rooibos is pronounced ROY-boss. 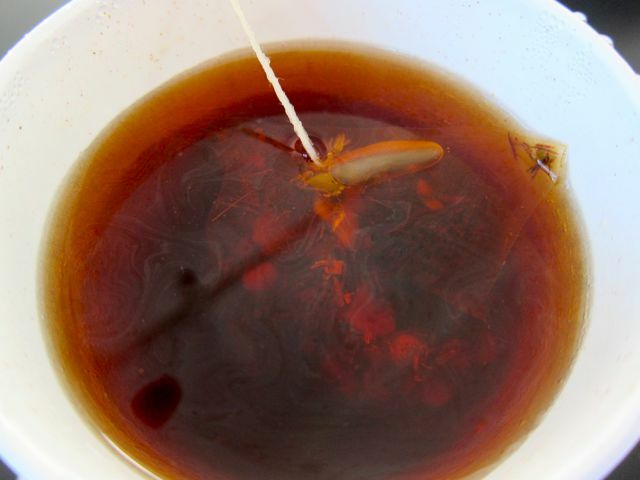 Rooibos is naturally caffeine free. This week I discovered the Vanilla Rooibos Tea at Starbucks. A few of us were out to see movies (yes, plural) and someone wanted a decaffeinated drink, so we went to Starbucks and the barista suggested the Vanilla Rooibos Tea. Apparently it was good, so I decided to give it a try. Starbucks describes it as, “an herbal blend of botanicals including rooibos, vanilla, sweet blackberry leaves, apples and peaches.” I think it’s heavenly. 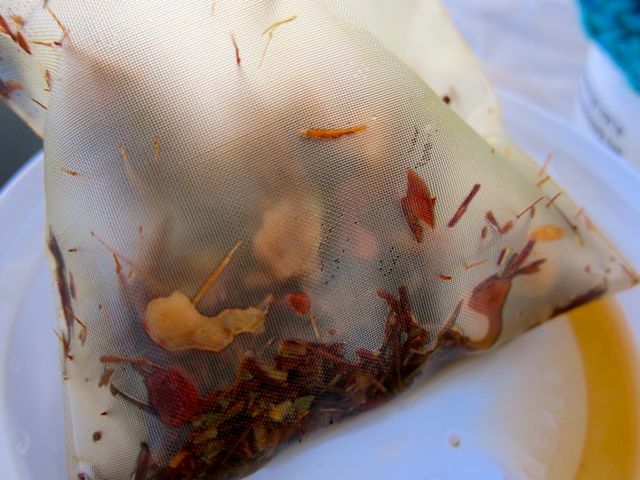 Even the tea bag is pretty … I’m usually a fan of the Refresh Tea, but, if you want to change things up a bit, a little less minty, a little smooth, then the Vanilla Rooibos is the tea to drink. What’s a smooth drink you ask? Well, give it a try and you’ll see. Are those fries in my sandwich? biting the bullet has never been so delicious! 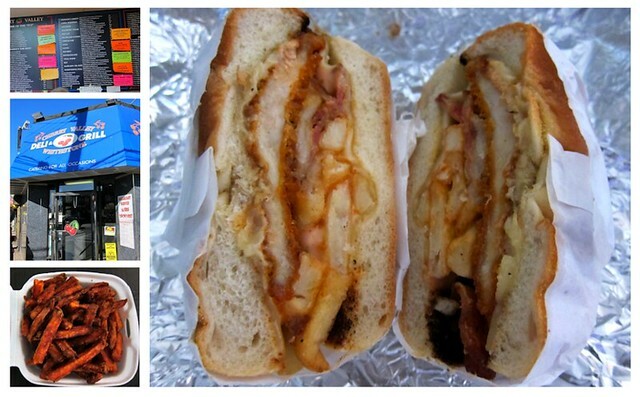 The Bullet consists of chicken cutlets, bacon and french fries with some wonderful sauce. This was my sandwich of choice at the Cherry Valley Deli and Grill this past weekend. The deli is open 24 hours and has more sandwich choices than you could ever think to eat. They are efficient and you are out of the door in no time. They put french fries in your sandwich. They have two locations, one in Whitestone and one in West Hempstead. In case you missed it, those were french fries in my sandwich and it was delicious. 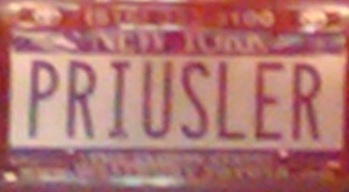 10 Vanity Plates from around my city! We have our hobby plates. 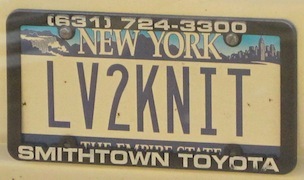 I'm going to guess that this person loves to knit. A heart of gold? Did you just cut me off? I get the Yes Lord, but why the 1? 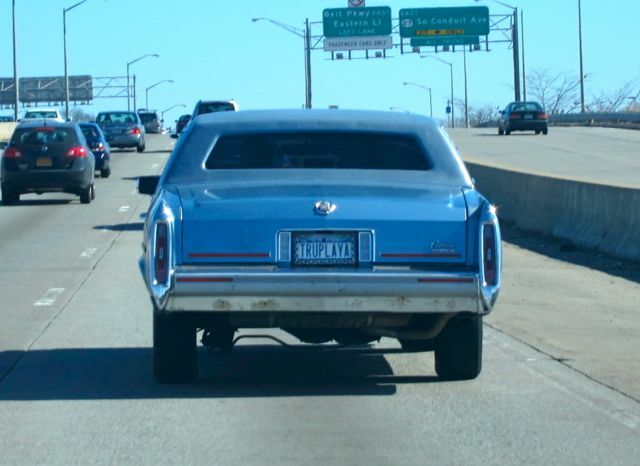 I wonder, what's that driver's name? 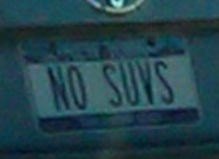 This category I like to call the snooty Prius owners plates. Are you a telemarketer? Or a phony? Company? Or misspelled three headed dog? 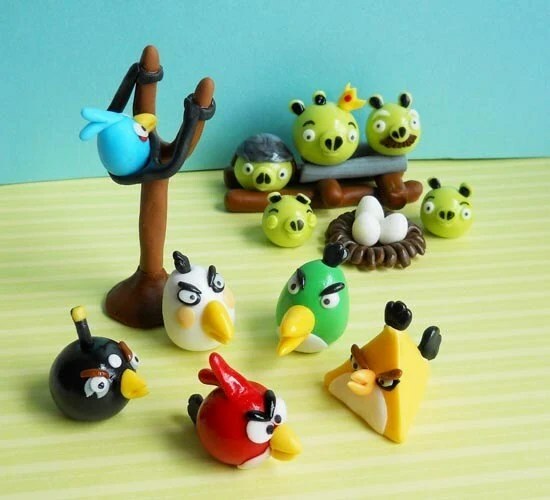 Then, there is my personal favourite! 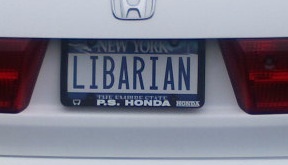 I really hope you're not a librarian! Now, for a bonus, this is one I saw just before I posted this, it’s almost like serendipity! showing up in THAT car? 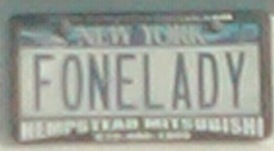 You sir are a Playa indeed. I’ll admit, I am a Starbucks girl. However, there is a drink that you carry that I love, it’s called the Dunkaccino and it’s the perfect blend of chocolatey goodness. 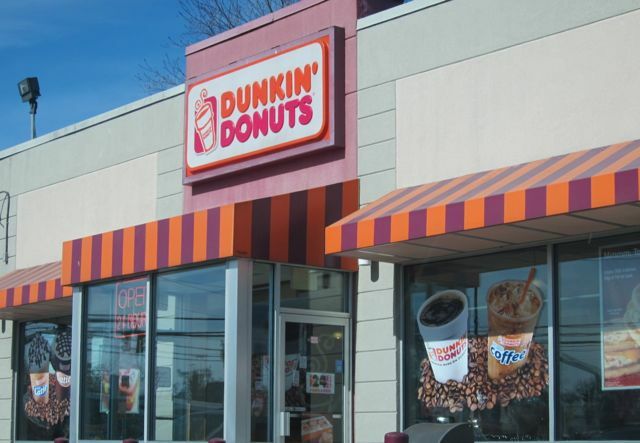 Your Dunkaccino is a bit of a treat to me, so today, as I was on my way to get my car cleaned, I decided to go to the nearest Dunkin’ Donuts and get myself a nice, large, pipping hot Dunkaccino. As I waited to get to the front of the line my thoughts turned to my tasks for the day, I’d get my hot Dunkaccino, fill up my almost empty gas tank and take my car to get washed. Sipping the hot beverage to keep warm as I wait. It’s very cold today, rather windy. I stood at the front of the line and placed my order, “A large Dunkaccino please” as I handed a twenty to the cashier. Then, disaster! I looked at the cashier, looked at the bill in my hand wondering, did a magically hundred dollar bill appear in my hand? Surely I took out a twenty, after all I only had two twenties in my wallet. No, it’s still a twenty dollar bill. “Are you serious?” I ask him. I rifled through my purse trying to find anything to make up the $2.27 charge. “I don’t have any change!” I said, hopelessly. “Do you have change for a twenty there?” the cashier asks the man standing next to me in line. I look at the customer, he looks at me, he smirks, checks his wallet and pulls out four fives. “Do you have change for a this?” another cashier asks, pulling out a ten dollar bill. “It’s the Customer’s Bank for Dunkin’ Donuts!” I replied. Thankfully they finally had change and I could now get my Dunkaccino. “Are you kidding me? !” I was shocked, my eyes widen in amazement, is this real life? “No, I’m not joking.” He replied. So you see Dunkin’ Donut, I left without my Dunkaccino and went to Starbucks, where they were able to provide me with change and a hot chocolate. 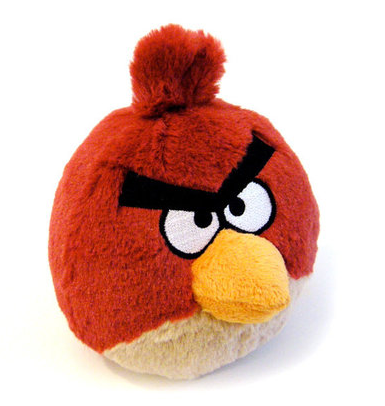 I’m sorry it didn’t work out between us today, maybe another time. IBM succeeded in building a computer that was able to beat two top Jeopardy players, Ken Jennings and Brad Rutter. I saw this comic from Abstruse Goose in my RSS reader and smiled. I think that many humans, at one point or the other, wonder about the advances in technology and if one day technology will take over the world. I know I’ve often marveled at how far we’ve come, from the 90s where the internet was just beginning to pick up pace, to 2011 where a computer wins Jeopardy. However, the thing that marvels me the most is that these contraptions exist, not on their own, but from the thoughts, tinkering and hard work of people just like you and me. Once my mind heads down that road, I take a second, say a prayer of praise, smile and get on with my day. The human mind is an amazing thing with great potential to create.